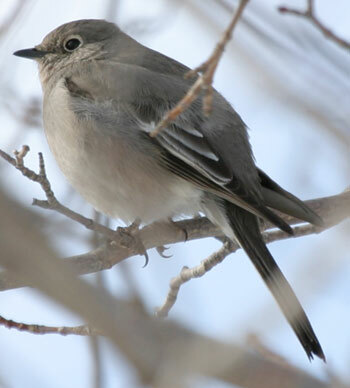 This relatively long-staying Townsend’s Solitaire in St. John’s during winter 2005 was the fifth record of this western species in Newfoundland. Record Details: Six records for Newfoundland: (1) St. John’s (Lower Rennies River), November 24 1983 – January 9, 1984; (2) Cape St Francis in the 1980’s (details missing); (3) Cape Spear, October 1989; (4) St. John’s (Shea Heights), January 20, 2002; (5) St, John’s, February 2 – March 21, 2005; and (6) Salvage, December 13, 2014. There was an unconfirmed report from Corner Brook in fall 1989. 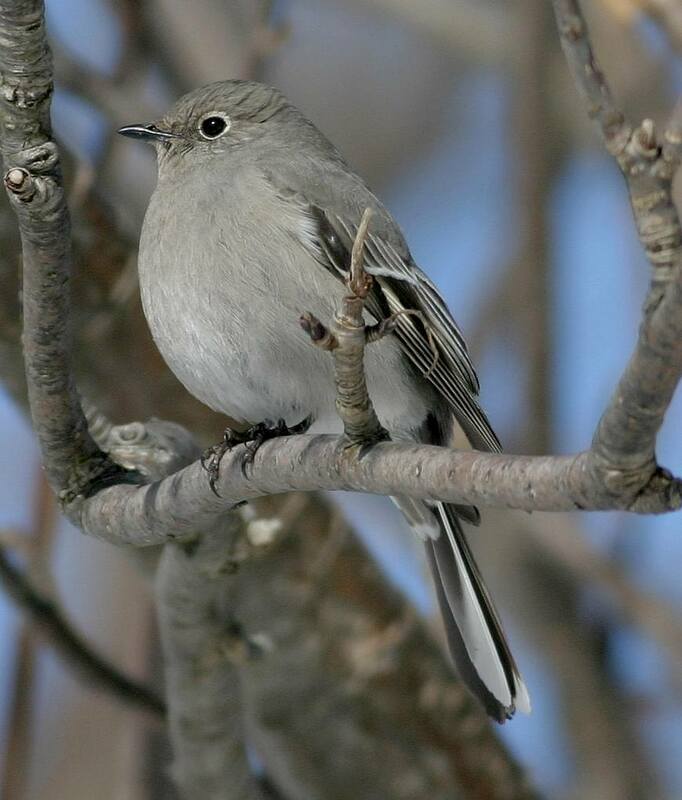 I just saw a Townsend’s solitaire in my yard. I’m in southern Quebec . I was able to watch it for many minutes as it perched on several trees and flew down to the ground in search of insects. At first I thought it was our returning catbird as it was grey above and below. But it had no cap, sharply marked wings and an eye ring. I wish I had had my camera.